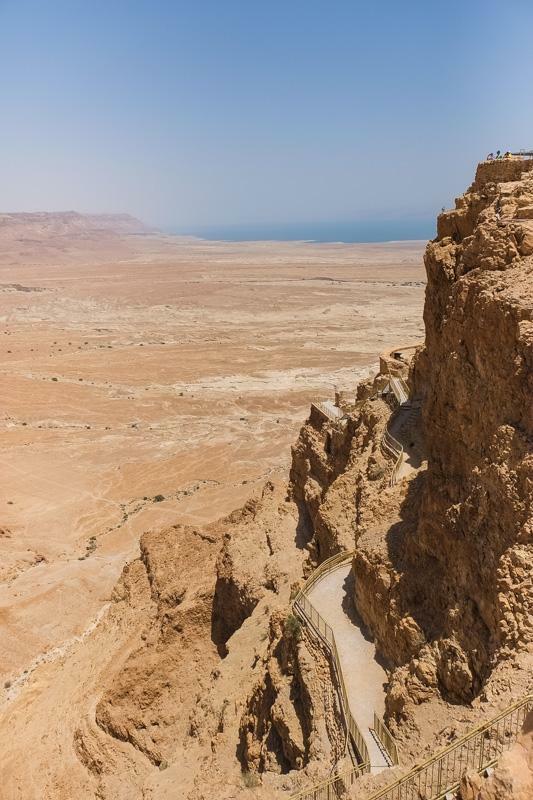 I loved taking a cable car up to the high desert and touring around the ancient fortress Masada. Israel continues to amaze me and I’m so glad I made it here to keep on learning the rich history around this fanscinating region. 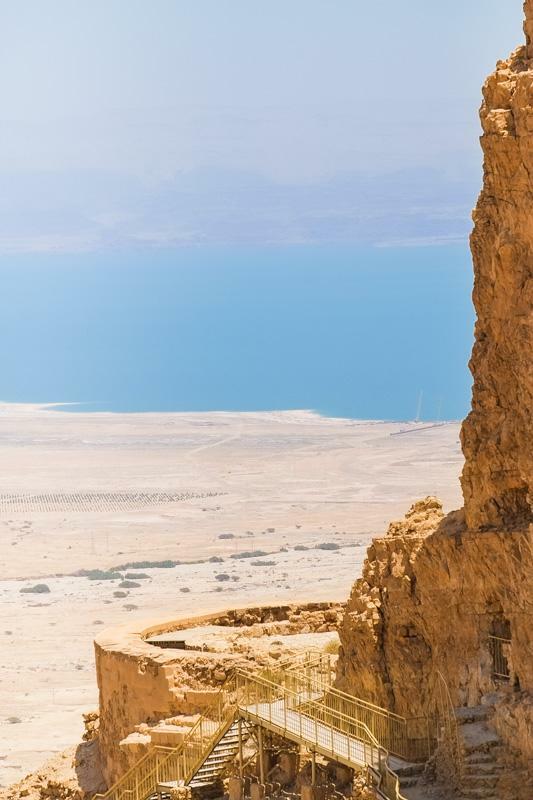 Masada is located near the shore of the Dead Sea, 450 meters above the level of the Dead Sea. 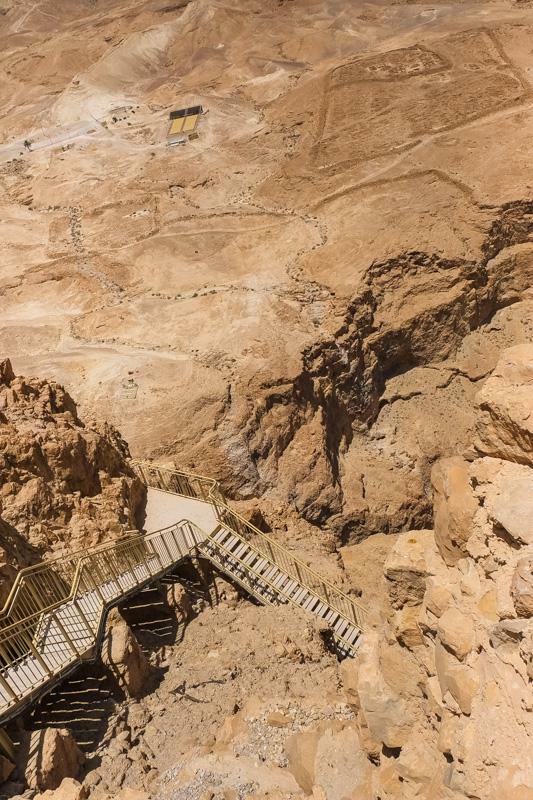 To get into the palatial fortress high up in the mountain, we no longer need to hike all the way up through the snake path like ancient people did. A 3-minute cable car ride is all we need. Of course, the option of walking up the Snake Path is available for you if you choose to. I didn’t see anyone on the Snake Path in the 40+ degree heat though. 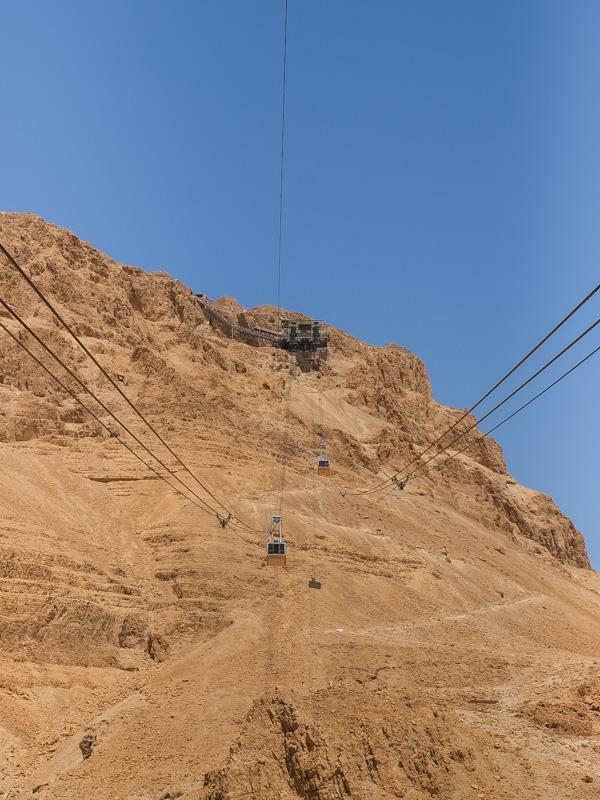 These cable car are quite big but look rather small from a distance, you get a sense about how high the fortress is. 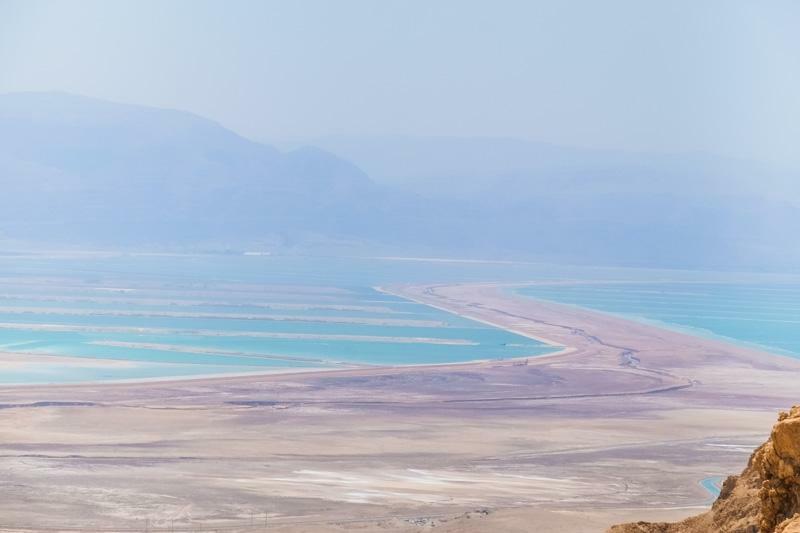 Enjoy the view to the Dead Sea once you step out of the cable car. 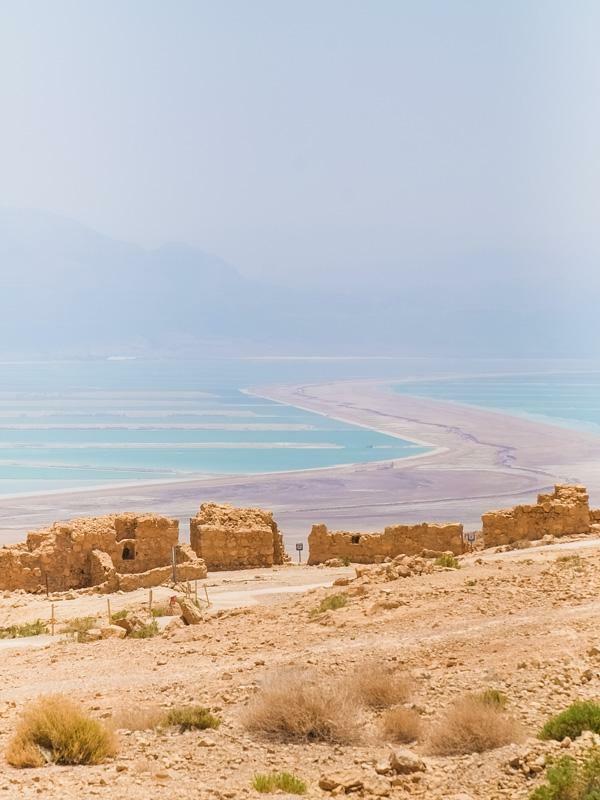 The colours are so incredibly dreamy and I looked forward to a dip and float in the Dead Sea soon. I adore everything old and beautiful. People have different travel preferences. Some like watching wild life, some like going to beach resorts. I like exploring ancient ruins. Give me any old castle, temple or old side street, I could wander and get lost in time 100% content. I’ve certainly learned a lot of about of King Herod from my Israeli trip. One clever man he was. Superbly clever. 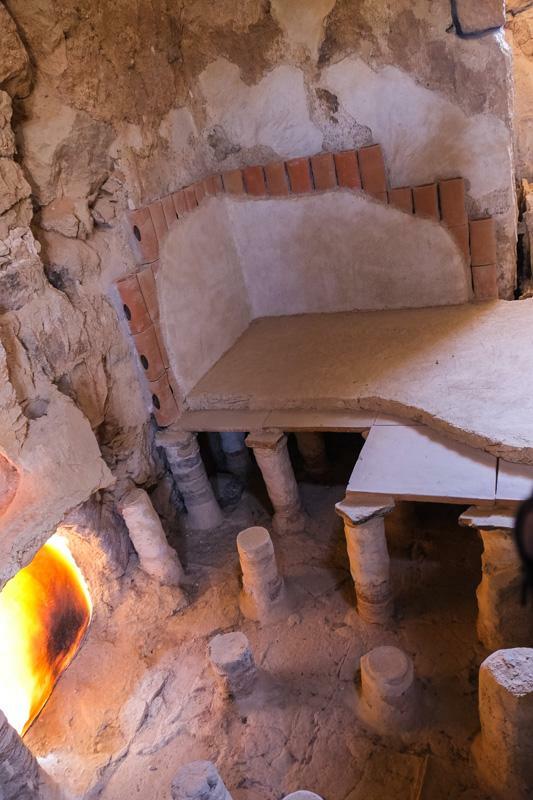 He built a luxurious palace in the middle of a desert, high above the ground. 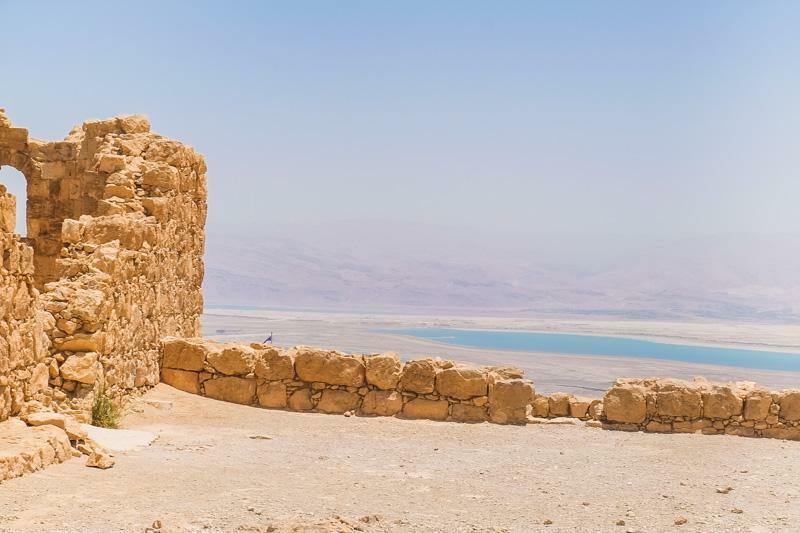 He used the geographically strategic advantage of Masada as as refugee against his enemies. 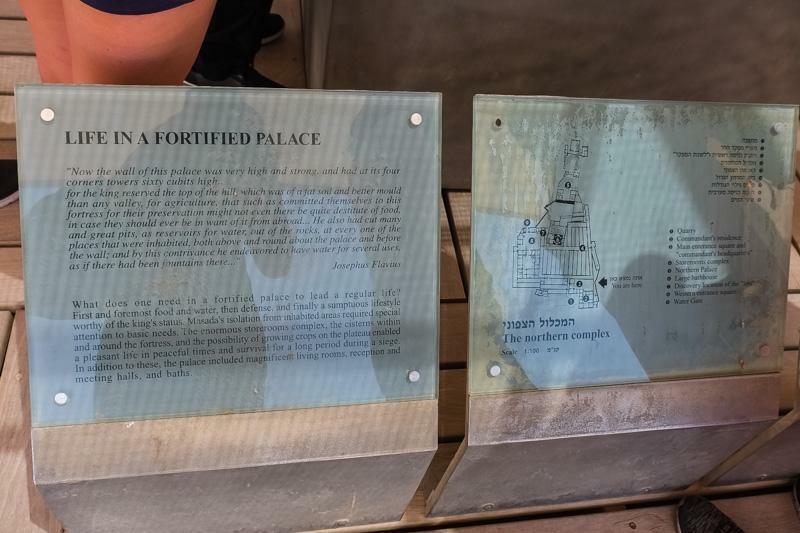 This palace was well – stocked with food and water, well – equipped for defence in case of a seige. 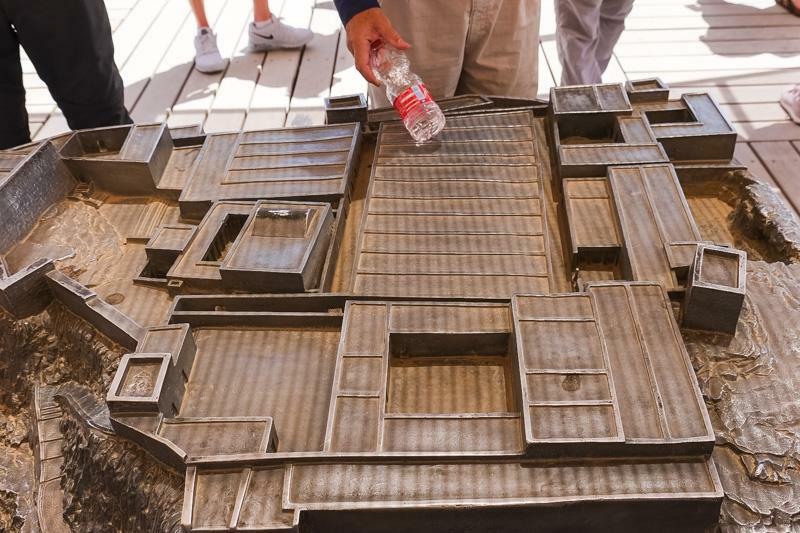 King Herod even brought water all the way up there to build a large Roman bath house! 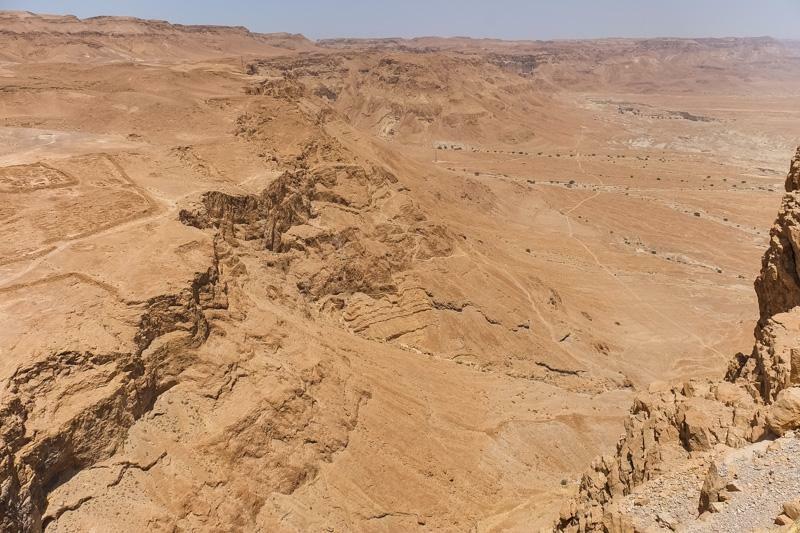 Imagine having a bath and sauna in the dry desert, 400 meters above the ground! My simple brain would give up the idea immediately but King Herod made it a reality. Floor plan of the bathhouse. It is really huge! 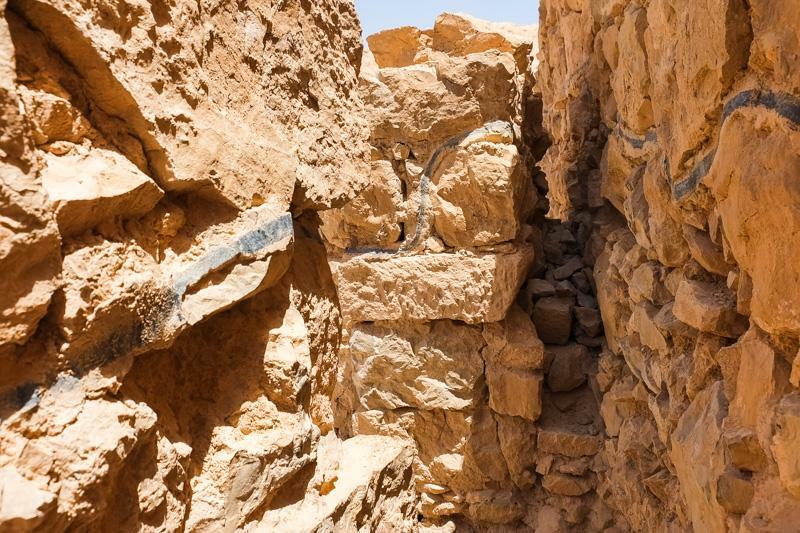 As you walk around the site, you’ll find thick black lines run through the walls of those ruins. 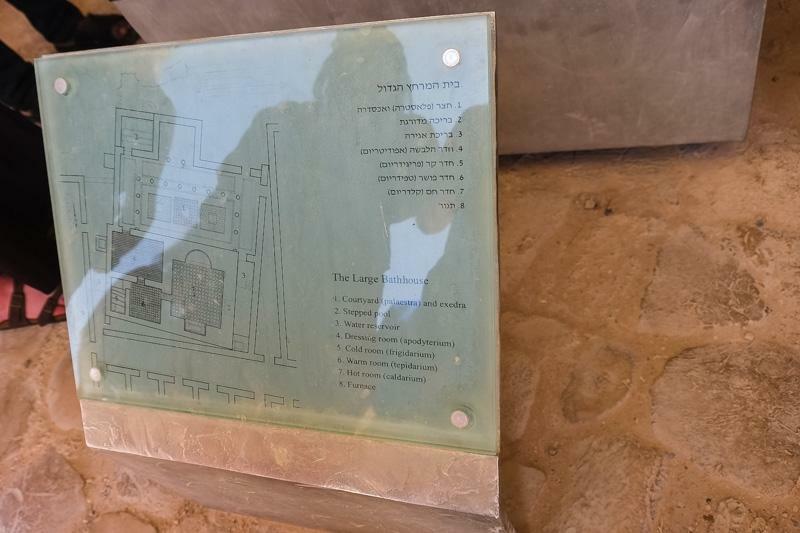 That is a mark to let visitors know that everything below the black line is part of the original construction while everything above the black line is done by later restoration. Look how high it is. Ancient people used to climb up by foot! 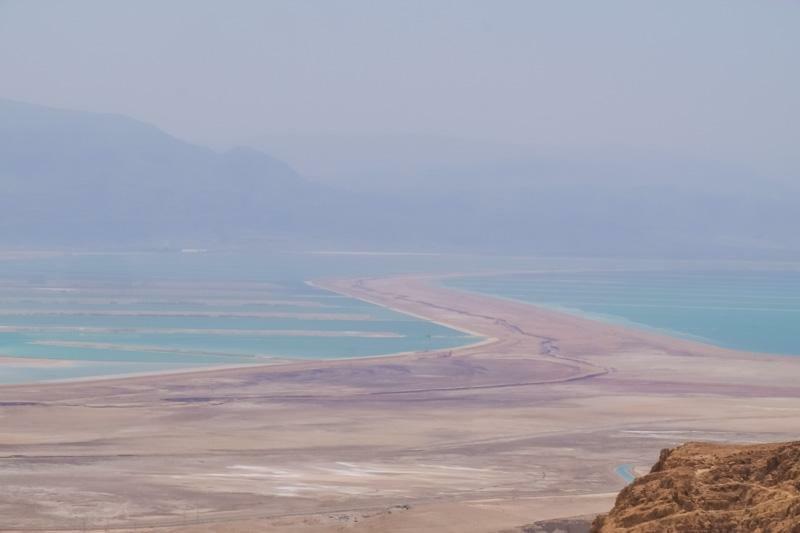 Over looking the Dead Sea. Falling in love with the views again and again. 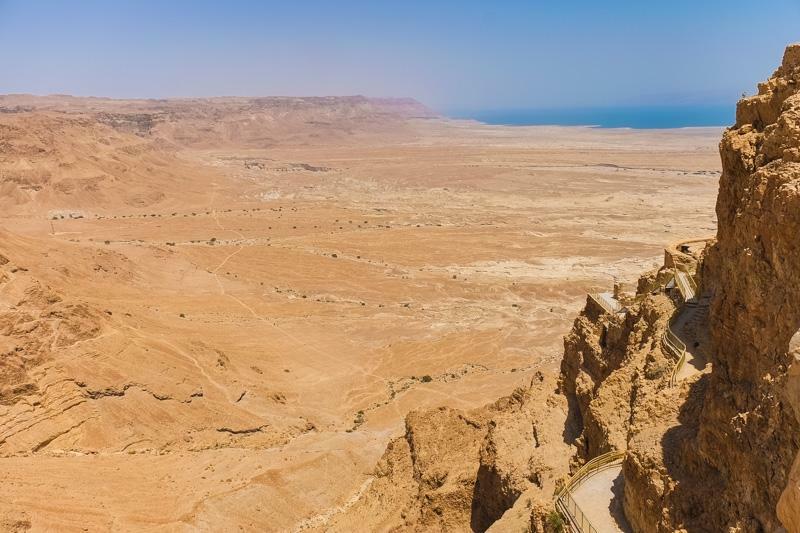 Visiting Masada is a must while you are travelling in Israel. 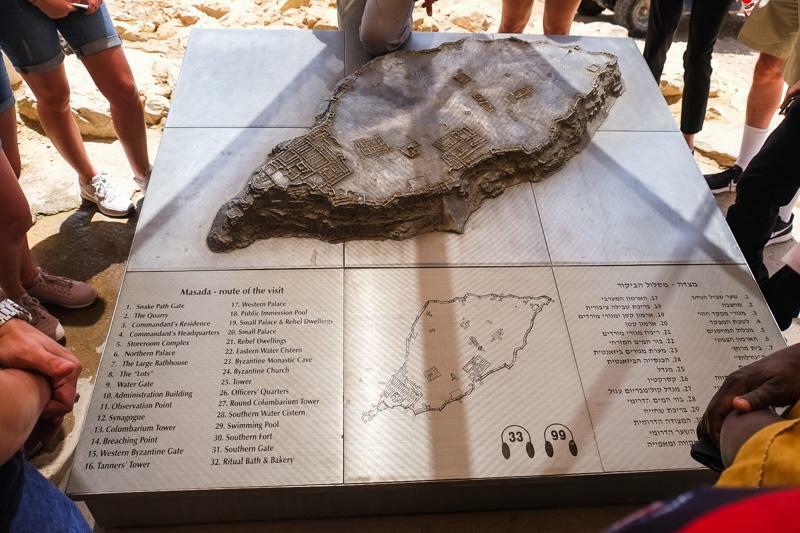 In case you worry, the site is well – facilitated with bathrooms, free chilled drinking water, snack bars and a restaurant serving delicious buffet. 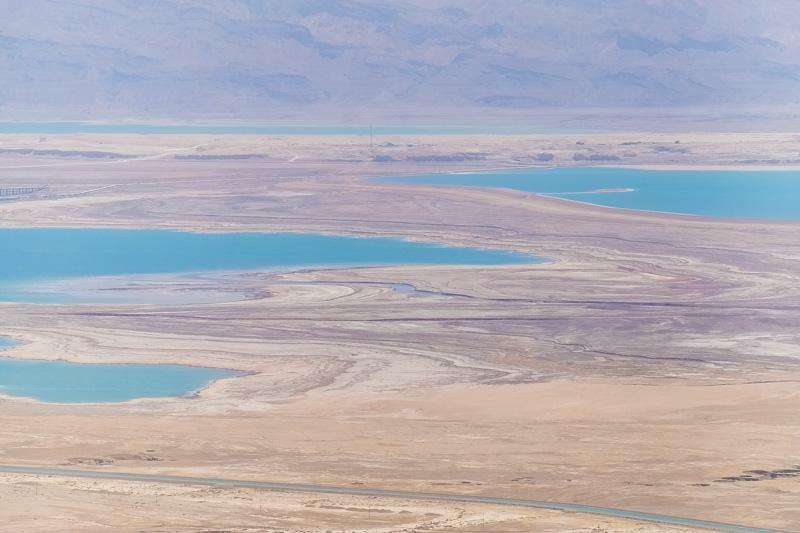 No More Trips To Embassies With Electronic Visas Is Floating In The Dead Sea Overrated?